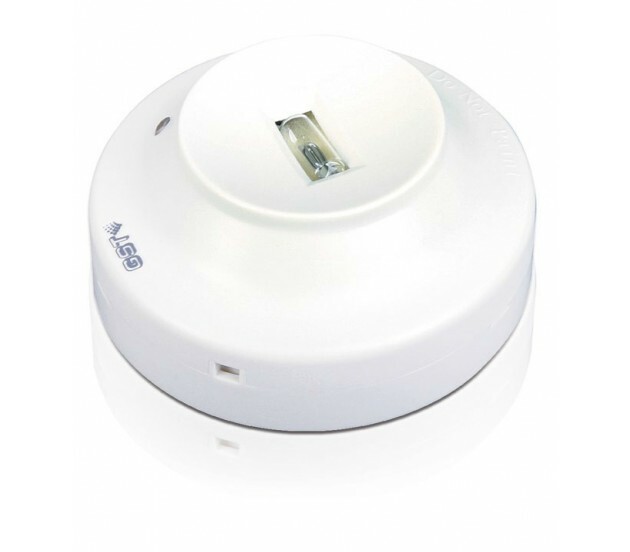 In case of Addressable Flame detector, Fire Projects suggest to utilise GST I-9104 Intelligent Ultraviolet Flame Detector, which detects fire by analyzing ultraviolet radiation of flame. It's applicable to places where open fire, fire with intense flame radiation and fire without smoldering stage take place easily, as well as places where quick response to a fire is required. Used together with other detectors, it can alarm fire in time to minimize losses as much as possible. Select Fire Projects to design solution of fire alarm system using GST I-9104 intelligent ultra violet (UV) flame detector. We support our clients from Designing up to Commissioning up to AMC. We also provide AMC–Annual Maintenance Contracts for all types of Fire & security Systems. Indicator: Red. Flashes in polling. Illuminates steadily in alarm.